Recycling waste materials and by-products is a main objective for environmental protection. In addition, soil and water pollution suppose global hazards that need to be controlled to avoid serious and increasing damages to public health and the environment as a whole. In this way, previous publications have commented on the promising field of recycling raw and modified waste and by-products to control pollution (Núñez-Delgado et al. 2015). Also, related Special Issues have been previously published (for example, Elleuch et al. 2018; Higueras et al. 2019). However, the field of research is still open, and new findings would be welcome. This is the reason why the Special Issue was developed. A total of 18 manuscripts were submitted to the SI. After review, 9 very interesting papers were accepted and published. Research teams from different countries worked on various aspects of the theme, covering the following items: adsorption of methylene blue on a variety of sorbent materials (Wang et al. 2018), the use of vegetal fibers and metal oxides for water decontamination (Kesraoui et al. 2018), Cu removal by means of KOH-modified pumpkin husk (Çelekli et al. 2018), or using a green adsorbent (Banerjee et al. 2018), P sorption on various waste and by-products (Romar-Gasalla et al. 2018), effects of organic amendments on plants subjected to Cd stress (Shahid et al. 2018), fluoride removal by means of raw or modified plant-derived carbons (Vilakati et al. 2018), waste mixtures used to remove a variety of organic pollutants (De-Toledo et al. 2018), and biochar as sorbent for volatile fuel organic compounds in water (Saiz-Rubio et al. 2018). Since the last decades, this interesting field of research has been growing. In addition, previous special issues have focused on complementary aspects of the matter, some of them providing recent views and findings (for example, Núñez-Delgado et al. 2018). As the generation of residues is increasing, it is expected that the need for developing new strategies, based on new data from research, will also continue to increase in the next years. In fact, the various aspects included in the theme can be considered public health and environmental issues of global relevance. 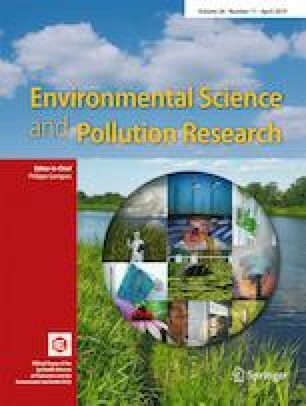 The Guest Editors thank all authors and anonymous reviewers involved in this Special Issue, as well as the technical staff of Springer and of Environmental Science and Pollution Research working on it. Special thanks to Dr. Philippe Garrigues, as well as to Dr. Guilherme L. Dotto, Dr. Zhihong Xu, Dr. Elena Maestri and Dr. Tito Roberto Cadaval Jr., who carried out direct editorial tasks for the S.I.